But when a repeatable sales process seems to have been discovered, it’s time to develop the startup’s revenue forecast. Revenue forecasts accuracy won’t ever be perfect, but they do serve the purpose of communicating to the management team and the board the way a business plans to grow. Additionally, and equally importantly, revenue forecasts provide a mechanism to articulate how much investment a revenue dollar requires. In other words, how much cash investment is required to double or triple or quadruple revenues in the next year. 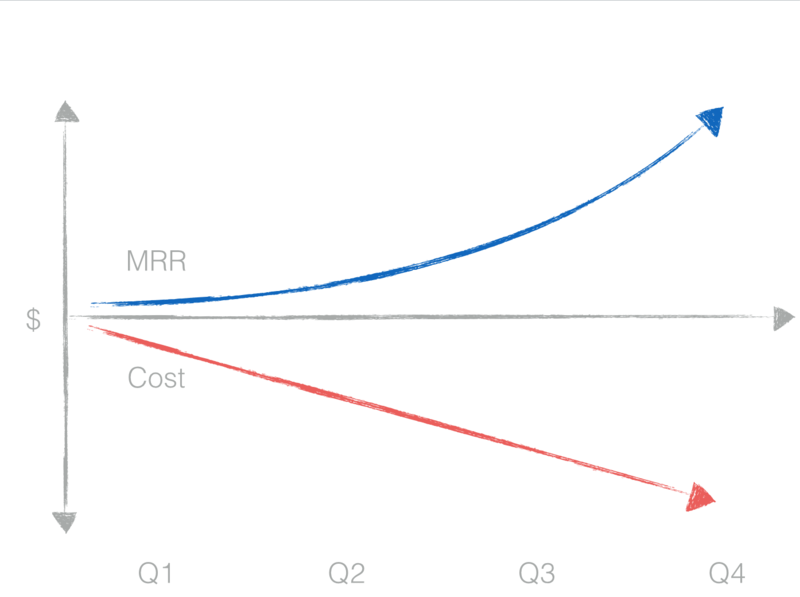 At the core of effective revenue forecasts lie the Fundamental Unit of SaaS Growth. The Fundamental Unit of SaaS growth is the atomic go-to-market team of a startup. For example, one Sales Development Rep (SDR), one Account Executive (AE), half of a customer success manager’s (CSM) time. Of course, each company’s fundamental unit will vary in composition. When modeling a startup’s growth, a team should be asking themselves, how many Fundamental Units do we need to hit $1M in ARR, $5M in ARR, $20M in ARR? How much cash do we need to hire those teams? How much time, how many quarters do we need to recruit and train those teams and their managers? The revenue model a startup creates should output two key items: the revenue contribution potential and the associated costs of the company for a year or two in the future. The revenue contribution of a fundamental unit is the MRR the AE/SDR/CS combination produces. As a startup hires more fundamental units, the costs increase linearly. But because of the nature of subscription businesses, the revenues should increase super-linearly. 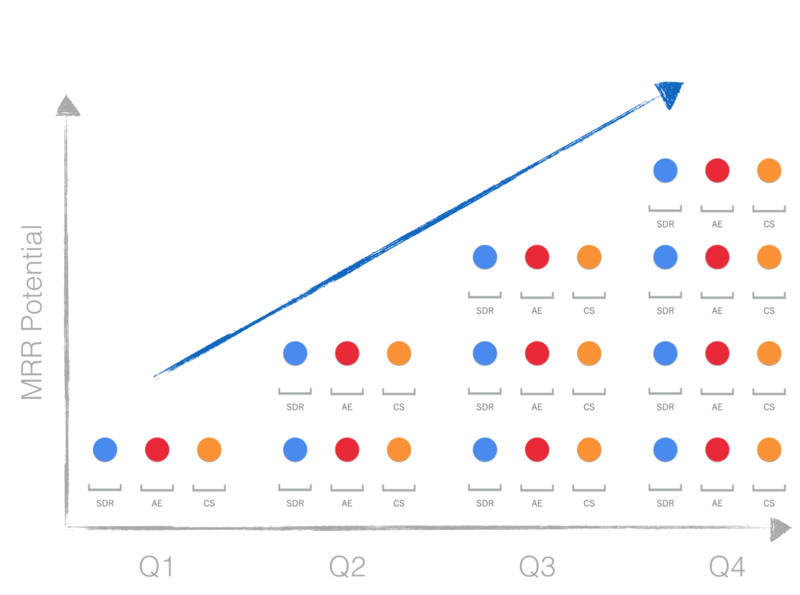 Conceptualizing a company’s revenue growth in teams, rather than individuals recognizes the interdependence of internal teams in SaaS companies for the business to succeed, and is one of the most effective ways I’ve seen to model the revenue growth of a SaaS company going to market with sales teams.